Prepper podcasts are a great way to stay informed. 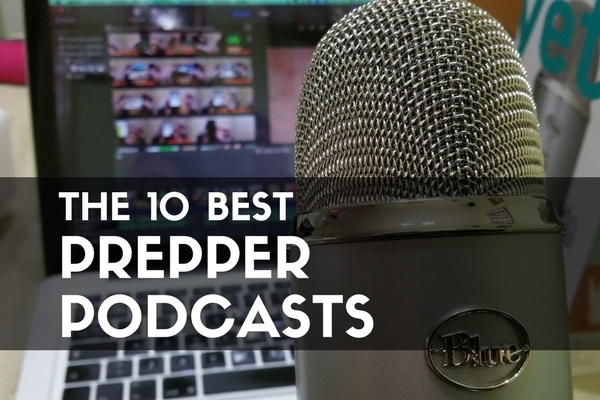 The best prepper podcast is the one you feel you can learn the most from. You can listen to podcasts on the go or at home by downloading or streaming. I prefer to stream podcasts on my commute to and from work. It gives me targeted information that I simply could not get from talk radio or the news. For those that are not familiar with podcasts, it is a fancy word for a simple concept. They are pre-recorded radio shows that usually span 30 minutes to an hour. You can use your computer or smart phone to subscribe to these shows and they will be automatically delivered when the next episode is available, so you can listen whenever you want. This makes them great for entertainment or information on the go. All you need is a podcast player, whether it is an app you download on your smart phone, or a stream built into a website like Stitcher. Podcasts may still seem like a new way to stay informed, but they have been around long enough for many podcasts about prepping to have come and gone. Much like blogs, there are pages and pages of podcasts that have come and gone as the producers grew bored or simply moved on from making podcasts. For that reason we do not include any podcasts that no longer show an intention of running in our rankings. Although old podcasts are not valued any less just because there is no new content, there are plenty of podcasts today that are offering fresh perspectives and purposeful content. We like Mark Boyle’s podcast because he’s different. He’s a minimalist, has different views on current events, and doesn’t care about his podcast frequency. It doesn’t pay to listen to several podcasts that are all the same, so having a fresh voice is nice. Listening to other philosophies helps everyone become more surefooted in their own perspective. Mark posts about once every two months, so it is definitely worth mixing in for a change of scenery. Self described ‘casual preppers’ can put on an interesting show! It is a little hard to describe, so you may want to take a listen for yourself. They update about twice a month, so it is not overwhelming or full of ‘filler’. It is worth throwing into your listening mix, even if it’s just to change up your tempo and give you something different. Jack and David talk about basic topics twice a month. While some find their content vanilla, they hit all the meat and potatoes of prepping without the ‘fluff’. If you are a new prepper looking to listen to a podcast, then this is the one for you. The topics will get you up to speed quickly and the frequency of their episodes is not overwhelming. Kyle puts out a new podcast almost every week on a variety topics mostly centered on analyzing the state of prepping. Whether he is deconstructing ridiculous prepping terms, or discussing the real ramifications of the news, he breaks down the important knowledge a prepper needs to know. He hasn’t uploaded a new podcast since 2016, but he has built a large library of content already. When he was posting a little more regularly, we saw updates about twice a month. They are in manageable chunks typically less than 30 minutes long and cover interesting subjects each and every time. This is another long time favorite as far as prepper podcasts go, and is worth a listen even if the post frequency has dropped off. I know, a brand new podcast cracking into the top 5. But Todd has been a staple of the prepping community for years with his suite of websites led by Prepper Website. This new podcast venture is his baby and the hard work he is putting into it shows. Todd has a great eye for curating the best content on the web, and that is what he does on this podcast. Cutting through the noise, you get the important articles you don’t want to miss five days a week in audio format. I have added this show to my work commute and enjoy the even-handed tone and informative content. Check it out and give him some support in the form of some ratings on iTunes or on Stitcher if you find his show as useful as I do. Bob is a grounded prepper without a tin hat. He is admittedly influenced by Jack Spearco, so if you are a fan of The Survival Podcast and haven’t tried Today’s Survival Show, you definitely should. He publishes an episode a few times a month, so it is easy to keep up with and add into your mix. A trio of “pretty normal” young guys that each bring a unique perspective to the topics they cover. They focus on urban survival topics about once a week for 30 minutes to an hour. The podcast is well produced and fun to listen to, and has even been featured on iTunes. They send out a new podcast at least once a week, so there is plenty of content. Dale covers the more likely scenarios as well as the TEOTWAWKI ones. The result is a well rounded podcast that stays grounded in reason. Broadcasting once a week since 2015, he has quite a few episodes under his belt that don’t wander off into ‘tin hat’ territory. Dale gives a new podcast about once a week. The Survival Podcast is the quintessential podcast on prepping. You don’t have to take our word for it either; he has a ton of episodes, a slew of rave reviews, and a huge base of subscribers. If you haven’t checked out Jack’s podcast, you need to try it out at least once to see why it sits at the top of the list. He keeps a variety of guests rotating through and covers a very broad range, so the podcast never seems to get stale no matter how many episodes he cranks out. Jack delivers a new show every weekday, so the content adds up quickly. Prepper podcasts can give you the information you need to have an edge if SHTF. There is plenty of knowledge out there, and podcasts make it easier to borrow some of it while you are on the go. There is a wide range of topics and personalities just inside the prepping community. Keep exploring, stay prepared, and be safe. I have listened to The Survival Podcast for years. I think his best days are behind him. He has covered most items of interest and does fewer interviews lately. I’m looking for other sources. I like these podcasts, but another one that’s a little bit prepping and a little bit comedy that I like is the Apocalypse Survival Guide on SoundCloud and ITunes. I laugh out loud when I listen to it. There has to be some humor! I love the Bunker Buddies podcast. It is prepper lite but if we can’t laugh while the world falls down, what are we surviving for?